Looking for the perfect gift? 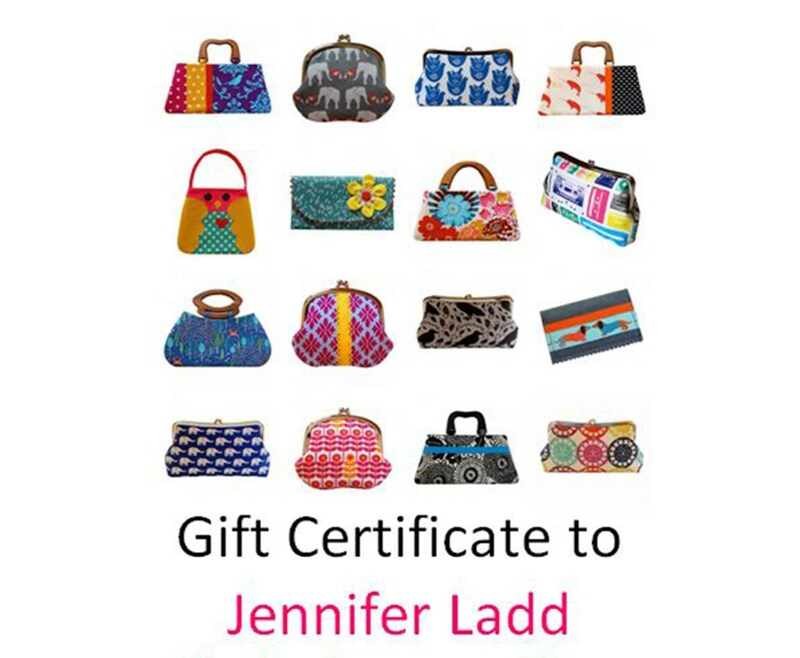 Let them choose exactly what they want with this gift certificate - $40 to use in Jennifer Ladd's shop! What a nice surprise! 2. Sent directly to the recipient in the mail. 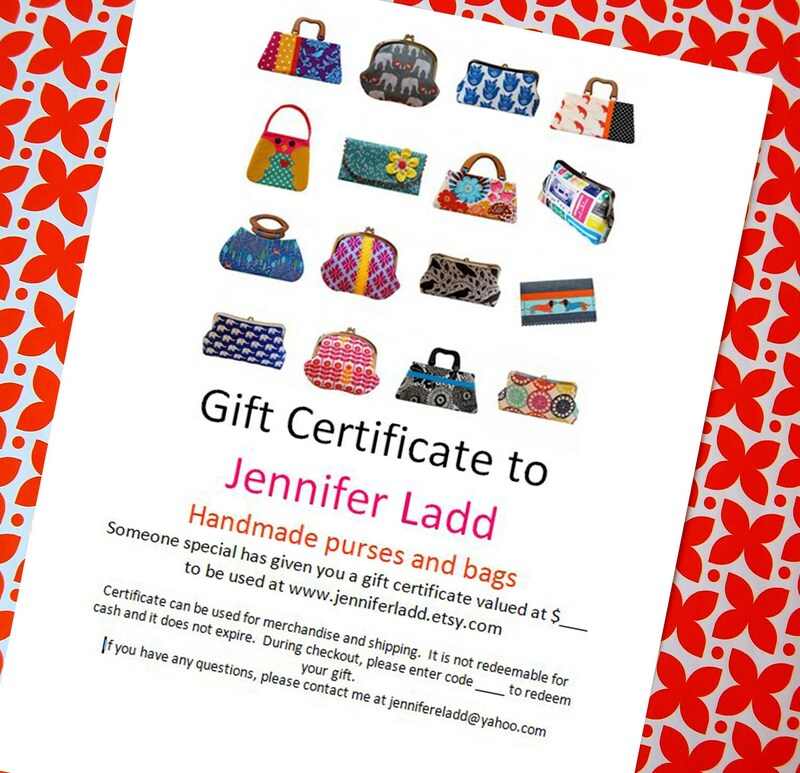 Please let me know if you would like to include a gift message with the certificate. 3. E-mailed to you. You can then print the card yourself and give it as you chose. This is great if you need the certificate quickly. 4. E-mailed to the recipient. Please let me know if you would like me to include a gift message with the certificate. Each gift card has a unique code. The recipient just enters code during checkout!. It's as easy as that! Certificates can be used for merchandise and shipping. They have no cash value, and they do not expire. Any remaining balance can be applied to a future purchase. If the purchase is over the amount of the gift certificate, the over amount can be paid by credit card or PayPal. This certificate is for $40. Please contact me if you'd like a different amount and I'll prepare a reserved listing. 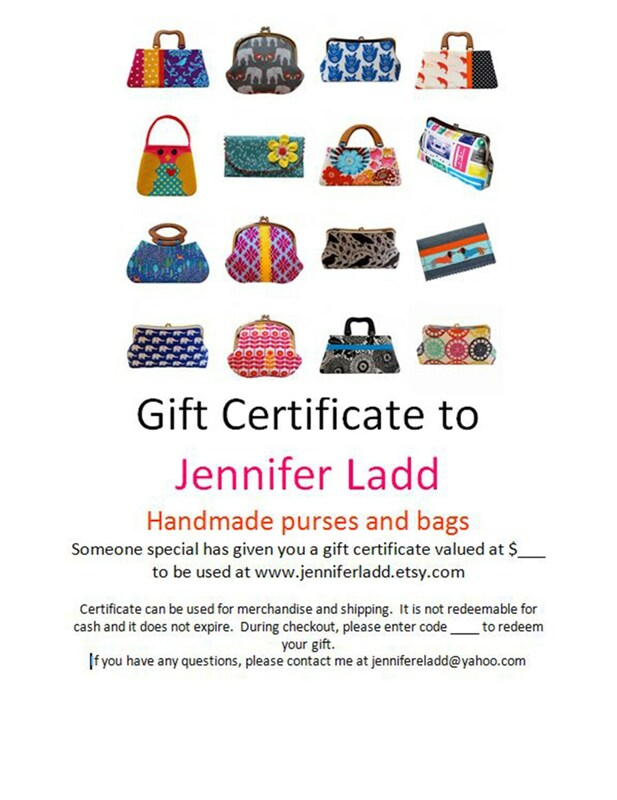 The Gift Certificate is only valid in my Etsy shop and can only be used here.